Posted today on Weber's Facebook page. Even though it's a caddywhompus Sears kettle, this one will be hard to beat. 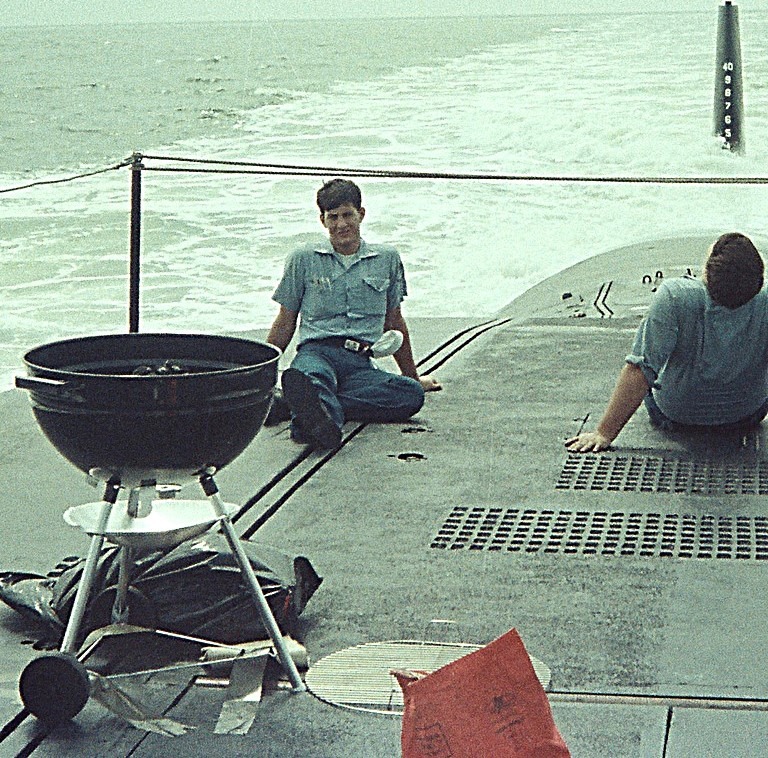 Photo was taken in the 1980's on the USS Tecumseh SSBN submarine while in the Bahamas. I got nuthin' to beat that. Saw that. I’d say it takes the cake. Brave men need real grilled food. Especially on a Weber because it was first made from a buoy correct? Two in one episode of Sesame Street. One chained up on the streets of NY and an 18" Smokey Joe Platinum, aka The Outrider, aka old style Jumbo Joe to the left of the stairs in the second pic. Yeah, I got a kick out of it being chained to the fence. I actually saw it that morning on the local PBS with my kids. Was surprised to see the first one & the chain made it better. Then, saw the Outrider in the same segment & was just surprised. Later in the day, I searched to find what the episode name/number was & then searched for it & messed around to get the screen shots to post here.